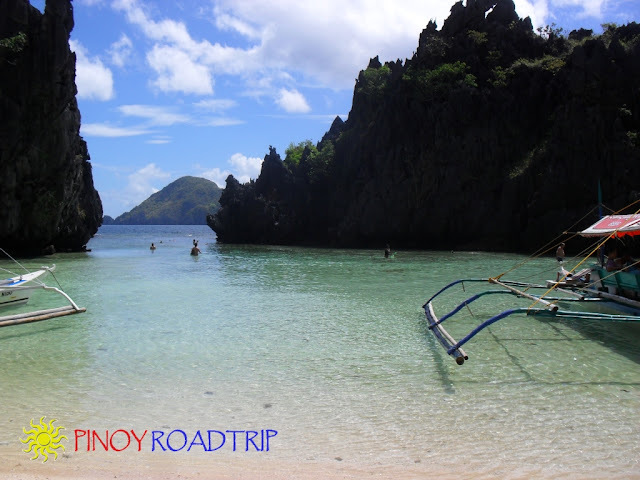 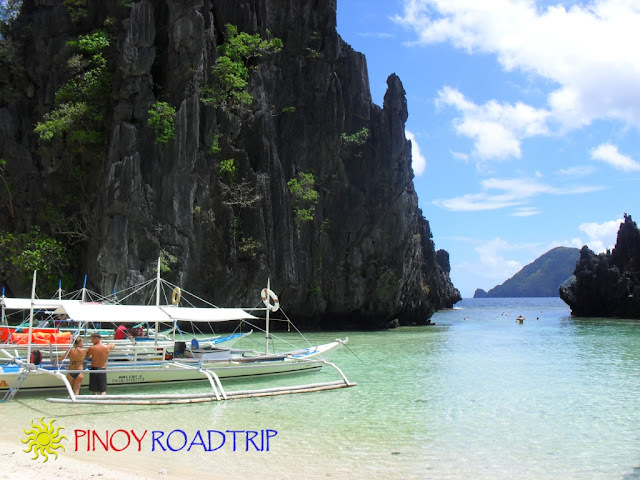 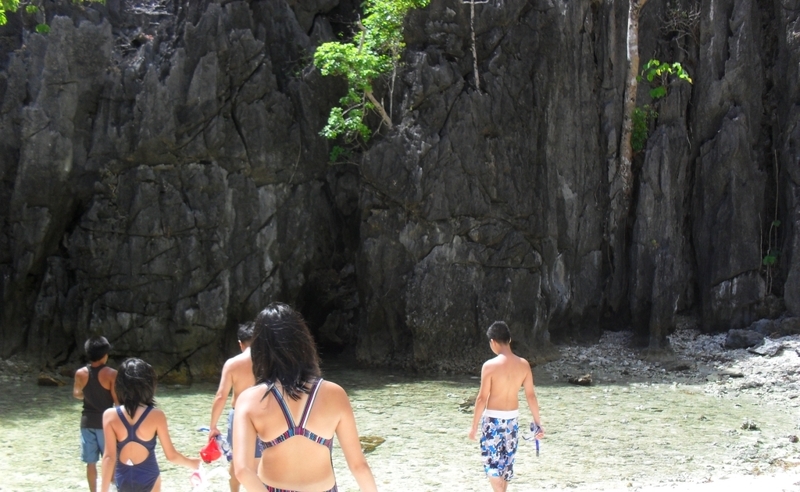 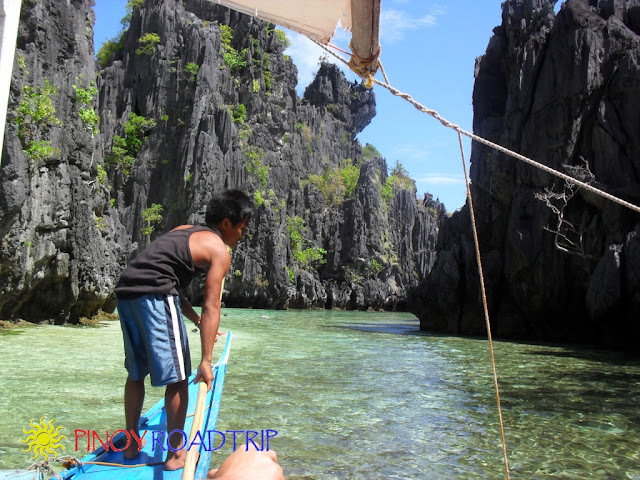 I love the Secret Beach because it's one of those isolated beaches in El Nido where kids will enjoy staying in. The beach has white sand, the water is crystal clear. 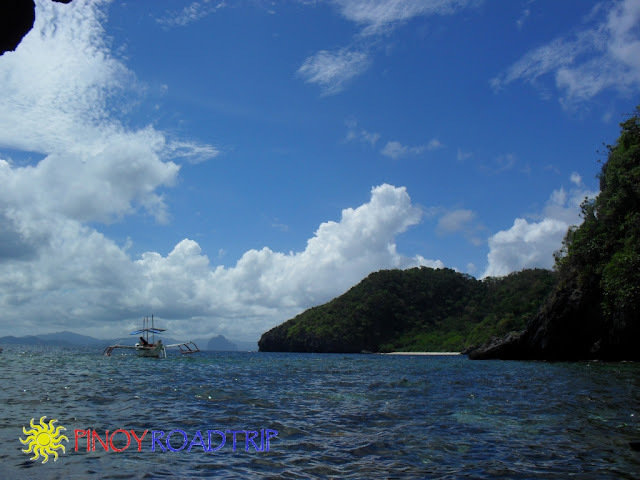 The waters are shallow for at least 50 meters from the shore. You can even go snorkeling in those shallow waters and find an interesting array of fish to amuse the kids. 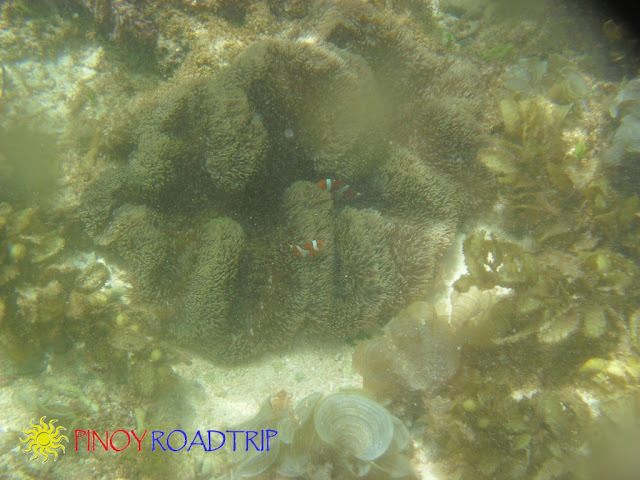 For the more adventurous, you can go to the deeper part of the island on the right side of the beach where you can find Nemo (a clown fish) among the live corrals. 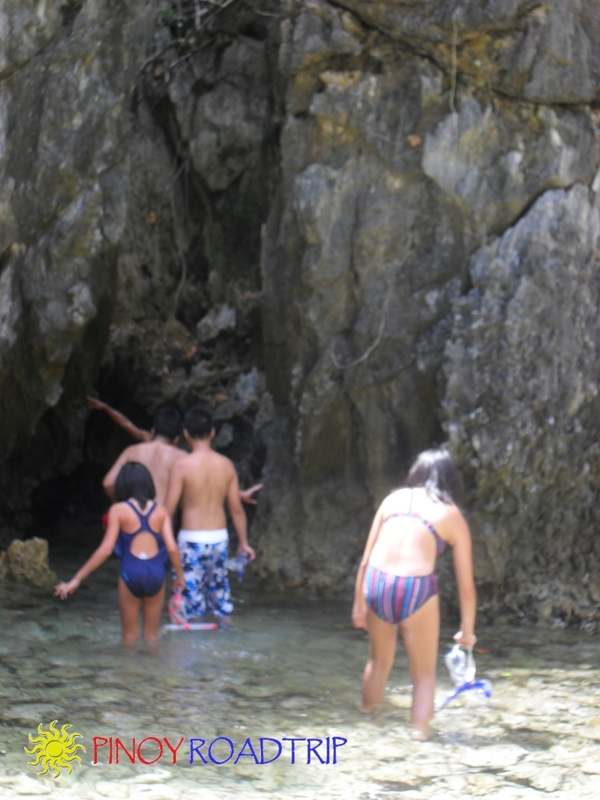 You can see that even at that distance, water is only waist deep. Visitors snorkel and find an interesting variety of fish even in this shallow waters. My tip: If you have kids smaller than my kids shown above, this is a nice beach to spend the day in. 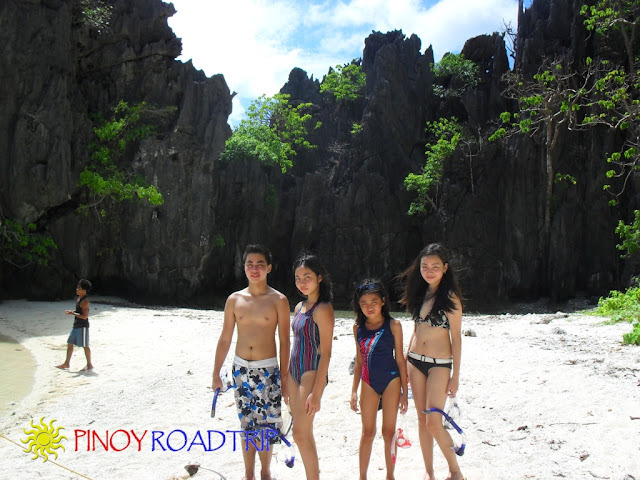 The waters are shallow and clear, the sand is white. 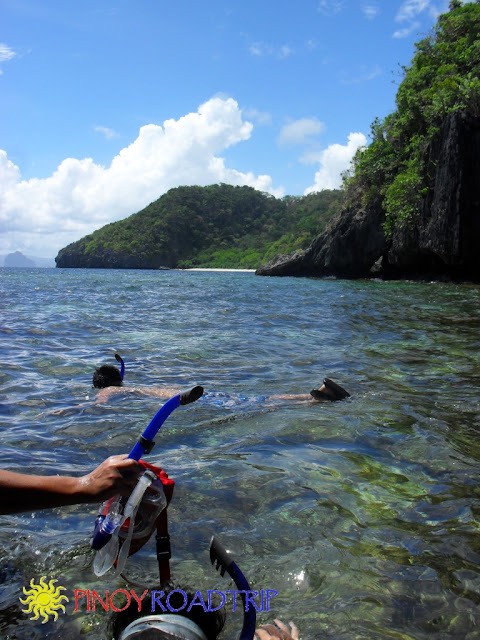 They can learn to snorkel here and be rewarded by an interesting variety of fish. Since there are a lot of beaches with common or synonymous names in this bay, my suggestion if you want to find this beach is to refer to it as the Secret Beach on Tour C.